With a certain birthday coming up this week ☺, it is my turn to plan the Sunday dinner menu. I have been in the kitchen for several days now making all of the components for the main event, so I wanted something fairly easy to make for dessert. 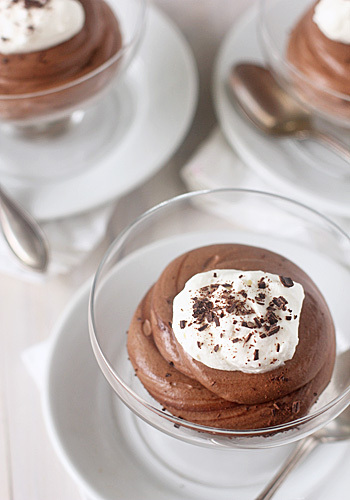 This chocolate mousse really does come together in less time that the traditional version. Rather than separating the egg yolks from the whites and beating them separately, they are beaten together until thick and doubled in volume. 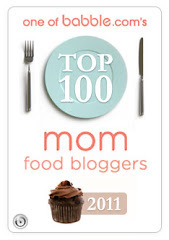 I like to flavor the mousse with some Kahlúa and vanilla, but you could use any liqueur or extract that you prefer. A little orange zest and Grand Marnier might be nice if you like that combo. Or how about some Framboise and fresh berries?? I could go on and on. Although it comes together quickly, there is no compromise from the rich, creamy and satisfying indulgence that a mousse offers with each spoonful. Garnish the top with a little more whipped cream and some grated chocolate for a special touch. In a medium heatproof bowl set over a saucepan filled with 1-inch of simmering water, melt the chocolate. Remove from the heat and allow to cool slightly. In a medium bowl, beat the eggs, sugar, cocoa powder, Kahlúa, vanilla, and salt with a hand held mixer for 5-7 minutes, or until mixture is thick and doubled in volume. Add the melted chocolate and mix until smooth and completely incorporated. In a separate bowl, whip the cream until soft peaks form (be careful not to over-beat). Using a rubber spatula, carefully fold the cream into the chocolate mixture, trying to keep the mixture as light as possible. Spoon into 6 to 8 individual serving glasses and chill in fridge for at least 2 hours or overnight. 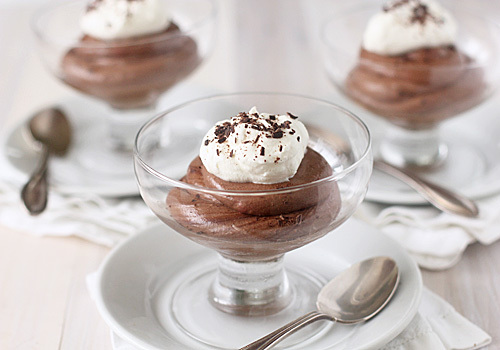 Remove from fridge 15 minutes before serving, then top with extra whipped cream and grated chocolate. Serve. Enjoy!